The Clear Change® 10-Day Program featuring UltraClear RENEW® is designed to enhance the body’s natural metabolic detoxification—providing energy and support for overall well-being. 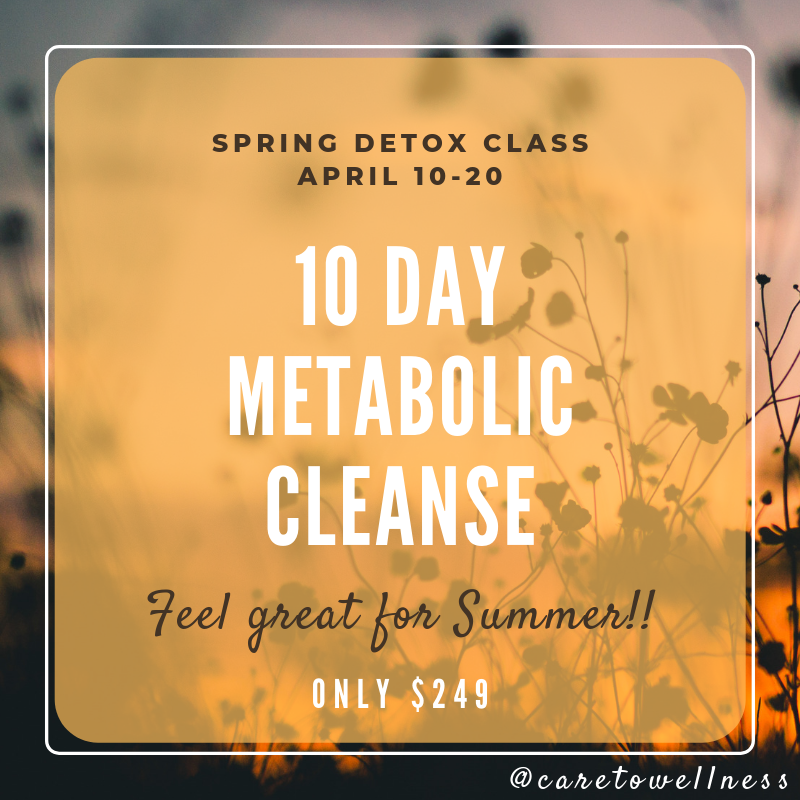 The 10-day program is ideal for anyone wanting to benefit from a “Spring Cleaning” or somebody who eats a reasonably healthy diet, exercises regularly, and manages stress adequately and wants to GAIN MORE CLEAN ENERGY! 2. "Moving Forward from Detox" class on April 20 at 10 am. Spots are limited and will sell out -- Only $249!! Taught by Sarah Eno, NTP detox specialist!